It’s on tomorrow …see you there. Sunbury Cricket Club is holding its 2015/16 Season registration day for Junior teams and Milo In2Cricket. Junior teams include Under 11, 12, 14 & 16 and Milo In2Cricket for ages 5-10. 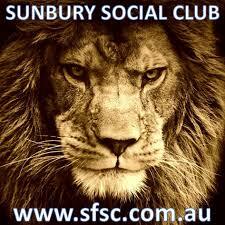 Sunbury Bowling Club Riddell Rd. Sunbury. Thursday, 3rd of September between 5.30 pm and 7.30 pm. Registration fee includes 8 week program, Milo in2CRICKET participant pack (cricket bag, bat, ball, hat, shirt & drink bottle) and family BBQ at the conclusion of the program. My 2 boys are interested in playing cricket, ages 11 and 12. I hope it is not too late. My number is 0411 674 283. Please contact me and let me know asap, thanks. Hi Marise, My apologies for the late response, training has only just commenced so it is not too late. Check training dates and times on our website. https://sunburycricketclub.com.au/juniors/junior-training-dates/ Hope this helps, cheers Marty SCC Secretary.